Pikes Peak is a special location in which its mysterious links are often overlooked. Most recently, the mystical mountain of Pikes Peak was the focus of the program MonsterQuest on March 11th. Repeats will be forthcoming in future weeks. It is instructive to examine the background on the peak's name. Pikes Peak (originally Pike's Peak, see below) is a mountain in the Front Range of the Rocky Mountains, 10 miles (16 km) west of Colorado Springs, Colorado, in El Paso County. The mountain was named after Zebulon Montgomery Pike Jr. (January 5, 1778 – April 27, 1813), an American soldier, explorer, and Freemason, whose Pike expedition, often compared to the Lewis and Clark Expedition, mapped much of the southern portion of the Louisiana Purchase. Pike (pictured above) was born in Lamberton, New Jersey, now a part of Trenton. 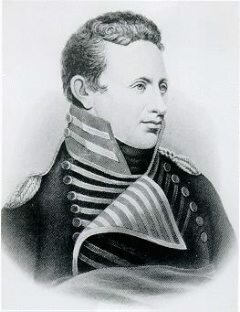 His father, also named Zebulon Pike, was an officer in the Continental Army under General George Washington and served in the United States Army after the end of the Revolutionary War. One famed ancestor of Zebulon Pike is John Pike (1613-1688/1689), who was a founder of Woodbridge, New Jersey and a judge and politician of the early colony of New Jersey. During the period of exploration in Colorado, many would refer to the mountain as "Pike's Peak," after Zebulon Pike, the man who first documented it and attempted to climb to its summit. The attempt failed to reach the summit as it was made during the winter months. The snow drifts were reported chest high at the time of the climb. Edwin James was successful to reach the summit in his attempt during a summer month's attempt. Later, some suggested "James' Peak," after Edwin James, the first man who successfully climbed to the summit. However, in this area there was another "James' Peak" which made identification of the peak a confusing issue. The name went back and forth until it was settled with a uniquely identifiable name. 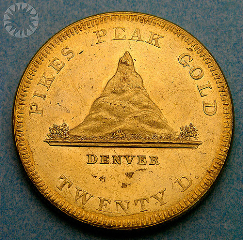 Originally the peak was called "Pike's Peak", but in 1891, the newly-formed US Board on Geographic Names recommended against the use of apostrophes in names, so officially the name of the peak does not include an apostrophe. In addition, in 1978 the Colorado state legislature passed a law mandating the use of "Pikes Peak" only. Even so, the old name is often seen. Several people make the mistake thinking that Pikes Peak was named after the shadowy Masonic figure Albert Pike, who was related to Zebulon, through their mutual ancestor John Pike. Albert Pike (December 29, 1809–April 2, 1891) was an attorney, explorer, soldier, writer, and Freemason. Pike is the only Confederate military officer or figure to be honored with an outdoor statue in Washington, D.C. (in Judiciary Square). Albert Pike was elected Sovereign Grand Commander of the Scottish Rite's Southern Jurisdiction in 1859. (Some have said that the Civil War was an occult battle between the northern and southern branches of Freemasonry.) He remained Sovereign Grand Commander for the remainder of his life (a total of thirty-two years), devoting a large amount of his time to developing the rituals of the order. Notably, he published a book called Morals and Dogma of the Ancient and Accepted Scottish Rite of Freemasonry in 1871, of which there were several subsequent editions. Pike is still sometimes regarded in America as an eminent and influential Freemason. Is Pikes Peak of significance to Freemasonry? In 1899, there was a small time capsule inserted into a rock atop Pikes Peak by 500 Masons - who arrived on a special train for the ceremony. 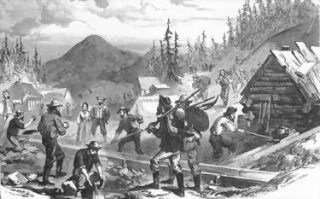 In 1999, on the 100th anniversary of that event, more than 200 Masons from Kansas and Colorado rode the Cog Railway to the summit of Pikes Peak, removed a small bronze plaque and withdrew the copper time capsule. They intended to put a new one in its place - to be opened in another 100 years - but they had misjudged the size of the hole cut into the rock by their 19th century colleagues, and the capsule didn't fit. In September 2000, a group of 22 Masons returned to the peak to discover that the bronze plaque atop the rock had been pried off and taken. In its place were several small capsules containing Scriptures and anti-Masonic statements. The Masons reported the theft to rangers and then inserted their new stainless steel capsule into the flat, 10-foot-square rock, sealing it with concrete. The capsule, like the old one now on display in a Kansas bank, contains a Bible, an American flag, a list of Masons who made the trip and instruments such as a compass and ruler that have significance for the group, founded in the 1600s by European stonemasons.